CHICAGO — Down three entering the ninth, the UTRGV baseball team put the go-ahead run on base before falling to Chicago State 5-4 on Friday at Cougar Stadium. The loss is UTRGV’s sixth straight overall and fifth straight in WAC games. At 6-13 in conference play, UTRGV stands in seventh place in the nine-team league that qualifies six teams to the conference tournament. Down 5-2 in the ninth on Friday, UTRGV (21-28 overall) tried to rally, as junior Anthony Gomez hit a one-out single, sophomore Elijah Alexander followed with an RBI triple, and sophomore Coleman Grubbs singled him in. Sophomore Tyler Torres then hit a single to put the go-ahead run on base, but Yunis Halim came in and got senior Austin Siener to ground into a double play for his first save. The top three hitters in UTRGV’s lineup combined to go 7 for 15 (.467) with three RBIs and three runs scored. Gomez went 3 for 5 with a double and two runs scored. Alexander went 2 for 5 with a triple and two RBIs. Grubbs went 2 for 5 with an RBI. Gomez doubled and scored on an Alexander single against Grant Trower (1-4) in the opening minutes of the game. An inning later, with UTRGV down 3-1, junior Conrad McMahon lifted a sacrifice fly to make the score 3-2 CSU. Trower allowed five hits and five walks while striking out three in six innings. CSU (11-37, 5-14 WAC) scored three runs in the first against senior and PSJA High alum Jorge Flores (6-5). With one out, Cody Freund singled, Matt Paciello hit an RBI double, Tyler Lowe hit an RBI single, and after a wild pitch, Jacob Vanitvelt hit an RBI double. Freund singled home a run in the second to put CSU up 4-2. Flores went six innings, striking out six while allowing seven hits and two walks. CSU added a run in the ninth on a squeeze by Tyler Zunkel. 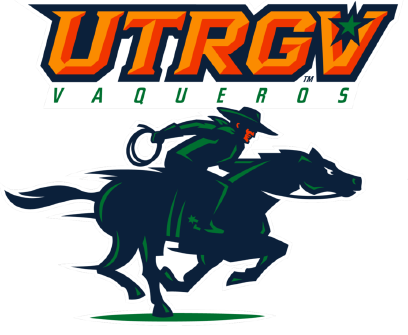 UTRGV and Chicago State play the middle game of this series at 2 p.m. Saturday.